The masterclass runs from 10:00-13:00 on Friday July 14th in the Radisson Hotel, Galway and will be moderated by director and producer Brendan J. Byrne. 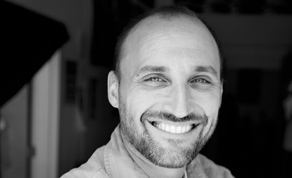 Amir Bar-Lev is a New York based film director and Galway Film Fleadh veteran. His directorial debut, Fighter, was released theatrically in 2001 and won six international awards, including Galway FF’s Best Documentary. Bar-Lev's second film, ‘My Kid Could Paint That’ was released internationally by Sony Pictures Classics in 2007. New York Newsday called it "a mysterious, gripping metadocumentary . . . that reflects upon the thorny, unpredictable process of capturing a real-life story on film at the same time it's trying to figure out what the story is," and film critics Ebert and Roeper, called it "one of the best documentaries of this or any other year." Bar-Lev’s third documentary, The Tillman Story, about NFL safety turned Army Ranger Pat Tillman, was named the top documentary of 2010 by The San Francisco Critics' Circle, The Florida Critics' Circle, and The St. Louis Critics' Circle, and was nominated for ten additional critics' circle prizes, the National Board of Review Documentary award, the PGA Documentary award, and the Cinema Eye Audience Choice award. Bar-Lev’s fourth film, Happy Valley, premiered at Sundance and was released in November, 2014. Variety called it “nuanced but quietly excoriating,” while Kenneth Turan at the LA Times called the film “explosive.” The film explored the Joe Paterno, Jerry Sandusky, and the Penn State Football scandal. His definitive Grateful Dead documentary, ‘Long Strange Trip,’ 14 years in the making, chronicles the Bay Area band’s incredible journey from the early days of the San Francisco Acid Tests to the death of legendary guitarist and co-founder Jerry Garcia. The Galway Film Fleadh are delighted to announce a very special evening of film, whiskey and food in the company of one of America’s greatest bands the Grateful Dead where director Amir Bar-Lev will be on hand to answer everything you ever wanted to know about the Grateful Dead but were possibly too stoned to ask. Taking place in Monroe’s Live on Friday the 14th of July at 6pm. Bar-Lev has taught documentary at NYU, produced and executive produced shows for the Sundance Channel, VH1, MTV, Spike!, and The Weather Channel, as well as directed numerous award-winning short films. The masterclass will be moderated by Irish director and producer Brendan J. Byrne - Brendan is an experienced filmmaker, specialising in documentary and feature films. Best known for his film ‘Bobby Sands: 66 Days’, which had it’s Irish premiere at the Galway Film Fleadh in 2016, Brendan has been making high-end documentaries for UK and Irish broadcasters for over 20 years, including his Royal Television Society winning documentary ‘Breaking The Silence’ about families coping in the aftermath of suicide.